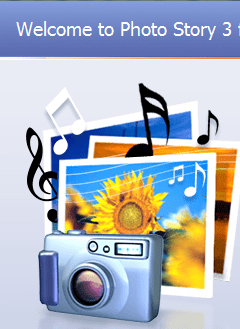 Photo Story 3 is a free program that you can download from Microsoft. Using a very simple ‘Wizard’ type of interface you can create stunning slide shows complete with narration, music, and custom motion. Below is the list of all the tutorial video lessons on Photo Story 3. The first 3 are free to watch for anyone, the rest require a Geeks on Tour membership. Click on any video listed below to watch it, then click your back button to return to this page. Additional Information on Photo Story 3 is also available in: Free Technology Articles and the Q & A Forum. To enjoy full access to the Geeks On Tour Library of “How To” Videos on Photo Story 3 and other topics sign-up for a membership today! Will PhotoStory 3 install in Windows 7 without any issues? I don’t think there’s any such thing as ‘without any issues’?? 🙂 But, yes, we use PhotoStory on Windows 7 – it works fine, even though its web page says it’s for XP only. The quality of the audio portion of your learning videos varies greatly. A few videos have a audio with a hum in it that’s probably due to 60 cycle AC. It can be very distracting and ruins an otherwise well thought out video. I appreciate that you manage to keep each video fairly short. this looks really great. I just scanned 7000 slides into my laptop when I was in Fl. over the winter. I used the HP G4050 scanner that scans 16 slides at on time, and put them in albams. can I still work with them in picasa? I would like to join Geeks on Tour if I can do this. I wish I had came across your web site before I did all that work, but maybe all is not lost.